Between 1989 and 2000, the experience acquired as a radio dj/presenter on the show Au Creux De La Vague ('At a Low Ebb') « dubnoiserockelectronicdrum'nbasspsychedelik »... gave Jean-Ulrich Vert the chance, in the mid-nineties, to get out of the studio to take his place in the DJing duo « The Self Sufficient Sexual Shoe ». Jean-Ulrich bases his sets around requests and his mood. Since January 2005, he has been promoting an audio/video mix. Vincent Papon as Vs_Price, with his second album for Expanding, following ‘Callin Minette’ in 2002. From the age of 5 until 15 Vincent studied the piano, a formal introduction that led him to try out many different instruments, including drums, guitar, mandolin and accordian. He found himself playing guitar in various bands, but in 1996 he began recording solo under the name Vs_Price. In recent years he has concentrated on live performance working closely with choreographers and visual artists on sound installations, performance and video work. 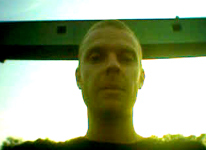 His last album, ‘Songs06.txt.’, was recorded during the summer of 2006 between the south western France seaside resort of Mimizan, and his main working base of Toulouse, using both locales as sound sources for the project.